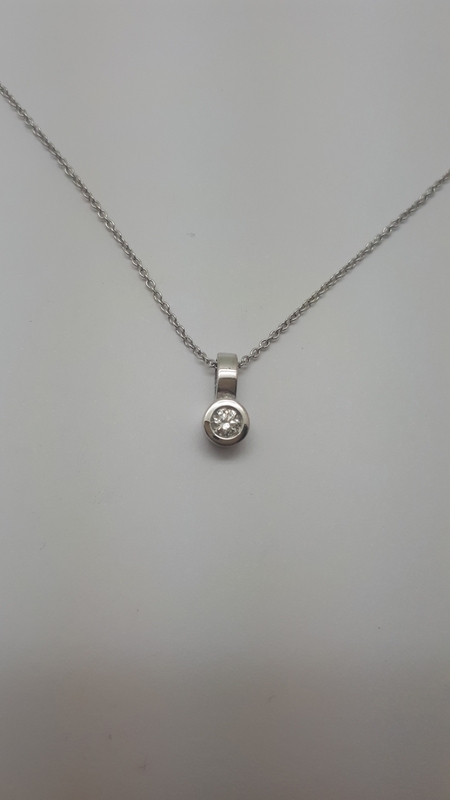 Pendant solitaire in white gold 750/000(18 karat) with a diamond brilliant cut 0.08 carats of quality Wesselton-vs. In accordance with the resolution of the United Nations, the diamond here described has been acquired from sources legitimate not involved in the financing of any conflict. Chain length: 40 centimeters.Weight of the set: 2.- grams.